This initiative will play a key role in collaborative research efforts to accelerate the evolution of Activity-Based Intelligence addressing system level activities, dynamics and interdependent network effects in the context of global climate risks to water security. This multi-year research partnership leverages ASU expertise and thought leadership in visual analytics, complex modeling and transdisciplinary decision-making evolving from years of internal and external investments at ASU. Leveraging computing and system modeling initiatives at ASU and partner organizations, the Foresight Initiative will apply ubiquitous cloud computing and storage technologies, advances in natural user interfaces and machine learning to address unique geospatial data handling and visual analytic challenges driven by the volume and character of future persistent data flows. The resulting capabilities will allow analysts and decision-makers to dynamically interact with diverse data sets in a real-time modeling and simulation environment. This will help them assess the effectiveness of plans, policies and decisions; discover second- and third-order causal relationships; and understand spatial and temporal patterns that reveal non-obvious underlying interconnections and dependencies. Key areas at ASU that will be integral to this work include the Julie Ann Wrigley Global Institute of Sustainability, Ira A. Fulton Schools of Engineering, College of Liberal Arts and Sciences, College of Public Programs, Decision Theater Network and Decision Center for a Desert City. 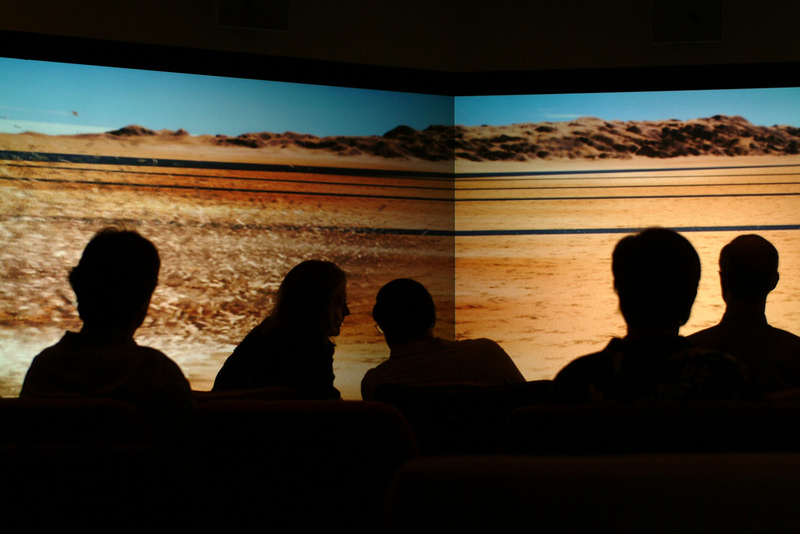 For example, ASU’s Decision Theater provides advanced modeling and simulation that allows diverse groups of stakeholders to visualize large amounts of data, policy parameters and environmental uncertainties on panoramic HD displays. Scientists, analysts and decision-makers can easily interact in real-time to tweak the rules and data sets to account for new insights and deeper understanding of relationships, providing a range of outcomes based on the changes. This allows for more effective decision-making among people from different backgrounds. Conventional wisdom holds that if you want to break into the film industry, you need to go to Los Angeles. But a unique new program in the School of Film, Dance and Theatre at Arizona State University is turning that wisdom on its head -- and bringing Hollywood to the students. This, also known as "the template," or more officially the ASU School of Film, Dance and Theatre Summer Feature Film Internship Program, is an ambitious plan to make one feature-length movie a summer with a predominantly student crew, supervised directly by department heads who are working film pros, and mentored by faculty from the School of Film, Dance and Theatre. The goal is to create a professional film set where students can gain experience and earn academic credit in a safe learning environment. Eligible students must be at a minimum GPA and be majors in the school. Cedanna and Chris LaMont, a film production instructor, serve as faculty internship supervisors and as producers on the film. Professor Ellery Connell, also in the School of Film, Dance and Theatre, is the visual effects supervisor and lead artist on the film and will manage a team of student interns to complete the visual effects by the end of the summer. 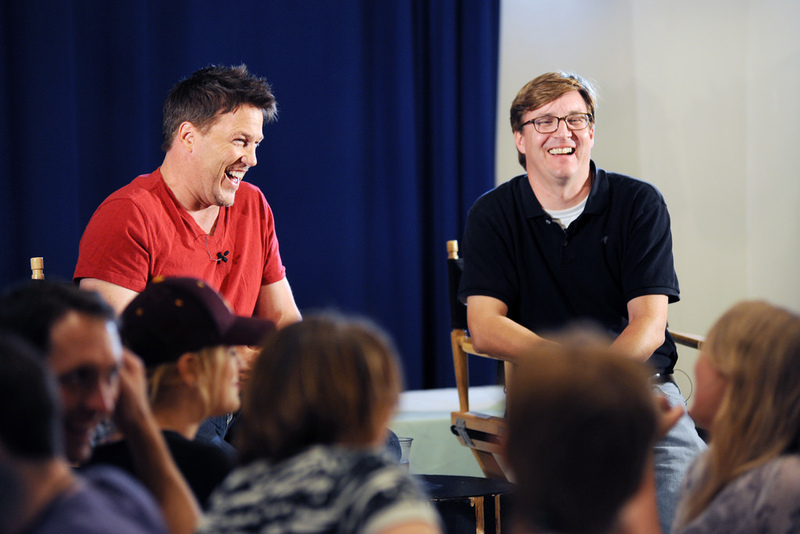 Jake Pinholster, director of the School of Film, Dance and Theatre, is executive producer. Lamont notes that the summer schedule allows students to focus exclusively on the project without having to juggle schoolwork too, and allows the School of Film, Dance and Theatre to offer deep discounts on unused resources, because there are no production classes in session. “Car Dogs,” the first film created by the internship program, wrapped in 2013 and has just been submitted to the Toronto Film Festival, Cedanna says. Young wrote and stars in the movie, alongside such familiar faces as Lance Henriksen (“Aliens,” “Terminator”), Lochlyn Munro (“Scary Movie,” “White Chicks”) and Gail O’Grady (“Revenge,” “NYPD Blue”). His production company is also financing the film. “This is not just some big student film,” Cedanna confirms. “We’re using the camera that was used on almost every Oscar-nominated picture this year. It’s a multi-million dollar camera. The post workflow is high, high level. It’s amazing." “This project is a win-win-win,” says Jake Pinholster, director of the School of Film, Dance and Theatre. “Marvin and the team behind the film win because they get to leverage their resources and finances in a way that wouldn't be possible elsewhere. The School of Film, Dance and Theatre generates national visibility, and, most importantly, the students win because they get to participate in a true rarity in the entertainment industry: an internship that has been structured from the ground up to give them a substantial leadership role in an educational environment." For “Justice Served,” Cedanna and LaMont brought back at least six ASU alumni in paid positions, including four who got their degrees in May 2014. Young says that he decided to make “Justice Served” in Tempe after discussions with LaMont, whom he met though the Phoenix Film Festival, which LaMont co-founded. Johnny Kubelka, an L.A.-based professional who is running the sound department for the film, says that he particularly likes the teaching aspect of his position. “It's great,” he says. “I forget that they're students. They're on it." Almost all of the actors did lunchtime Q and A’s with LaMont, so that the students got a chance to hear professionals talk about their trajectory in the industry. Lochlyn Munro gave this advice: “Do your job, do it to the best of your ability, and be someone people want to work with.” Chase Coleman, a young actor who appeared in “Boardwalk Empire” and is on hiatus from the CW show “The Originals,” talked about the days in New York when the only thing in his cupboard was a can of beans, and he'd eat half for dinner and save the other half for breakfast. For the 60-some students interning on “Justice Served,” including about 15 who worked on “Car Dogs” and are back with promotions on “Justice Served,” the film is a chance not only to earn academic credit but to gain a foothold in the world of professional film. "We have a lot of students graduating and worried about getting jobs, and I say 'You’ve literally started your career. You’ve started it at school.'"